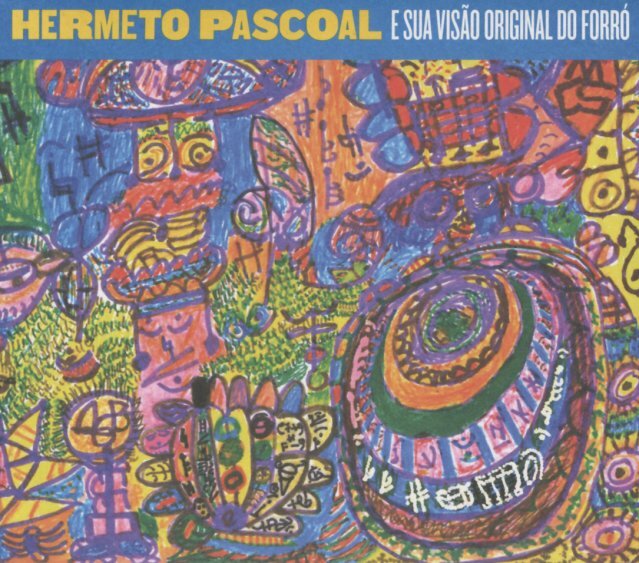 A very original vision of Brazilian forro – served up here by the mighty musical talents of Hermeto Pascoal, still making very fresh sounds this late in his career! As with some of Hermeto's other recent records, the leader is accompanied by some great younger musicians who are able to deftly move through all his sharp changes and bright explosions of color – and Pascoal is surprisingly deft on the sanfonas – a Brazilian version of the accordion that works well alongside the other reeds in the lineup, and the heavy mix of percussion that really drives the tunes! The whole thing is maybe less arch-modern than some of Hermeto's more experimental albums – and most of the music is instrumental, but the set does feature guest vocals from Rosa Maria, Mraina Elai, Joao Claudio Moreno, and Alceu Valenca. Titles include "Forro Pela Manha", "O Ovo", "A Ova", "Adelzon Alves No Forro", "Isto E Brasil", "Forro Na Toca", "Pernambuco Falando Para O Mundo", "Sivucando No Frevo", and "Pantanal Brasileiro". © 1996-2019, Dusty Groove, Inc.